Saskatchewanians are eager to correct the record after an NBA announcer insisted Wednesday that their province is named for its abundance of sasquatches. 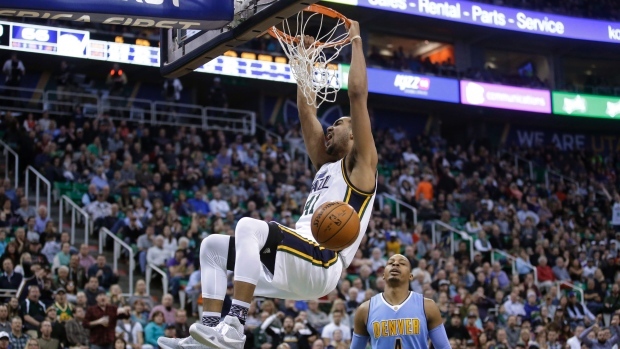 The Fox Sports announcer made the comment while pointing out that Utah Jazz forward Trey Lyles is the first person from the province to play in the NBA. “That region’s known for being home to a lot of sasquatches,” the announcer said, adding, "that's what it's named after." And as Manitoba sasquatch expert Chris Rutkowski points out, there are far fewer bigfoot sightings in the Land of the Living Skies than other regions like the Pacific Northwest. Washington has had the most of any state or province, with 617, according to the Bigfoot Field Researchers Association. British Columbia has had the most in Canada, 130. Saskatchewan has had a mere seven. Saskatchewan Premier Brad Wall laughed when he heard the news. “We might have more Elvis sightings,” he said. Saskatchewan Tourism’s Aviva Kohen seemed more annoyed by the other things the Fox Sports announcer rattled off about her province, including that it’s cold and flat.